They both came out on the same day, October 31...thank you so much! 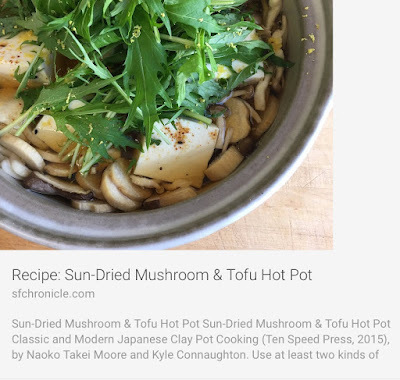 Naoko's interview and recipe are featured on San Francisco Chronicle. 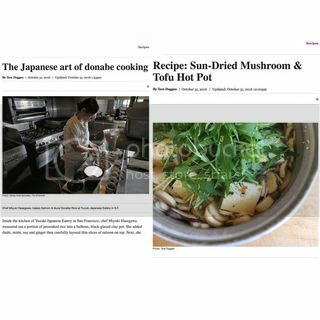 Please check out the wonderful article titled, The Japanese Art of Donabe Cooking. 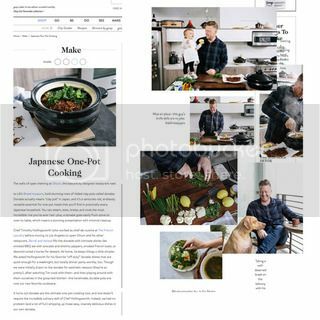 Our donabe and Chef Tim Hollingsworth (Otium)'s home donabe recipes are introduced on Goop, curated by Gwyneth Paltrow. You can try chef-style donabe recipes at home!